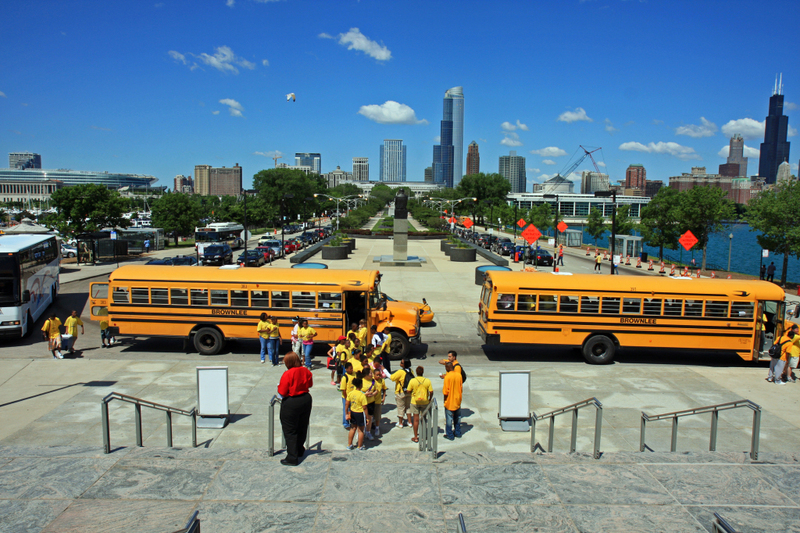 Chicago is a popular destination for student groups at high school and college level. Aside from excellent examples of modern architecture, the Windy City is home to outstanding museums such as the Art Institute of Chicago and the Museum of Science and Industry. In addition to cultural trips, many young people head to Chicago to visit college campuses under consideration. Like most large cities, Chicago can be challenging when it comes to costs. If you are planning a group trip to Chicago, we have identified several hotels that provide outstanding value and great comfort for your student or youth group. On Michigan Avenue, and adjacent to Grant Park, the Congress Plaza Hotel is a great hub for all manner of educational and recreational activities. Your group will be within walking distance of many local attractions and will have quick access to public transportation. Our group-bookings travel agents can assist in securing blocks of rooms on the same floor and with connecting doors. In addition to great prices for group bookings through Groople, the Congress Plaza Hotel has excellent meeting facilities, should your group require them. In the heart of the financial district, La Quinta Downtown Chicago offers incredible value for your money, especially when travelling as a group. Your group will appreciate the savings in money and time that comes from enjoying a free breakfast at the hotel. La Quinta Downtown Chicago is very close to affordable, local dining options for your group, and just two blocks away from the Skydeck observation point at Willis Tower. Let us help you book your group reservations at La Quinta Downtown Chicago. Your group will certainly enjoy the comfort offered by this highly rated hotel. Call Groople Group Travel Professionals to begin to plan your trip to Chicago.